How do I buy a Seva Franchise? Own a Seva Franchise Today! Are you interested in investing your time in a business that is core value-driven, focuses on empowering people and believes that success should be both financial and spiritual? Then, we invite you to explore Seva. Whether you are a first time franchise owner or a seasoned business veteran, Seva’s unique business model and franchise system empowers you to control your own destiny and get more out of what you want from your business and your life. Learn about the beneifts of owning a Seva Franchise today. Open Seva in any of these available states: AK, AL, AR, AZ, CA, CO, CT, DC, DE, FL, GA, IA, ID, IL, IN, KS, KY, LA, MA, MD, ME, MI, MN, MO, MS, MT, NC, ND, NE, NH, NJ, NM, NV, NY, OH, OK, OR, PA, RI, SC, SD, TN, TX, UT, VA, VT, WA, WI, WV, WY. 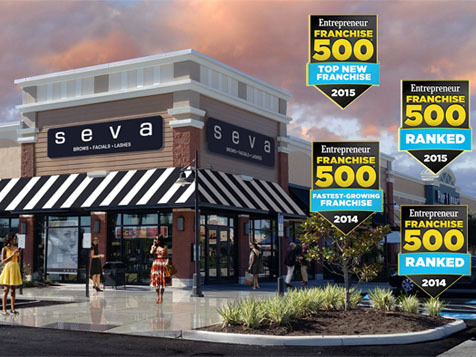 Seva® is the pioneer of the fast-casual spa, with nationwide locations that maximize one-stop-shop convenience and price points everyone can afford. We sum this up by our mantra, Beauty to the People®. Ranked in Entrepreneur Magazine’s Top 100 Fastest Growing Franchises and Top 500 Franchise categories in 2014. We sum this up by our mantra, Beauty to the People®. 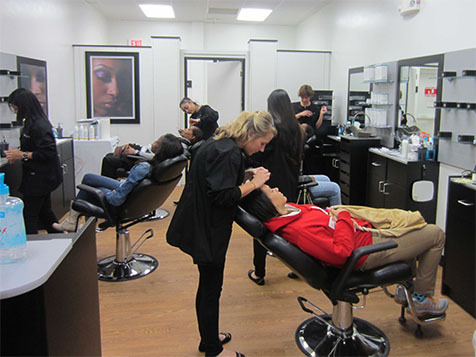 Seva® has pioneered the fast-casual spa with a simple, manager-run business model that doesn’t require salon or spa-specific experience in order to be successful. You’ve heard the adage: Location, Location, Location. Seva’s® elegantly appointed studios are strategically located to maximize the one-stop-shop convenience demanded by today’s busy consumers. Seva’s highly convenient locations provide an unparalleled convenience to the consumer that cannot be replicated anywhere else. 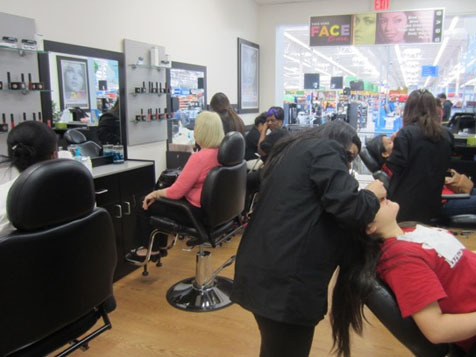 Seva Express is our quick-serve format located within major retailers such as Walmart. 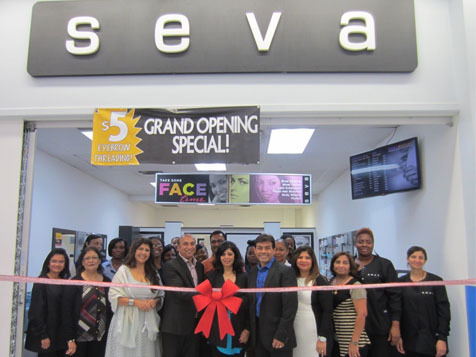 Seva Spa is our larger, full-service format located within shopping centers, strip malls and traditional real estate environments. Seva is committed to providing you with initial and on-going support utilizing the most effective techniques and resources. This includes our proprietary Seva University™ curricula which includes FaceTime Coaching & Conference Calls, Webinars, advanced technical training and continued education for as long as you own your Seva Franchise. Seva’s award-winning iPad-based POS System (iPOS™) enables you to easily run and monitor your Seva studios from anywhere in the world. Seva has designed a complete Spa-in-a-Box™ logistics system which helps you coordinate the design, construction and spa build-out process for you through grand opening. * More detailed Cost and Criteria information is available in Seva’s Franchise Disclosure Document (FDD). What Is The TOTAL Cost To Open A Seva Franchise? The initial investment to open a Seva Express Studio is between $140,050 – $234,800 which includes $24,000 – $46,000 in working capital reserves. The initial investment to open a Seva Spa Studio is between $107,500 – $276,000 which includes $24,000 – $46,000 in working capital reserves. The initial investment varies depending on studio size, geographic location and services offered. How Much Liquid Capital Do I Need? Seva requires you to have at least $190,000 in liquid capital (cash) whether in personal funds, loan, or both. Seva’s Franchise Disclosure Document (FDD) offers a detailed earnings claim (Item 19) which showcases the earning potential of a Seva studio. Please refer to the Seva FDD for further guidance. The Franchise Fee for a single unit is $39,000. Seva also offers a 3-Unit Development Rights Agreement (DRA) for $78,000. Seva does not offer financing, however you may seek financing from any 3rd party lender. Does Seva Offer Multi-Unit Incentives? Yes, Seva offers a 3-Unit Development Rights Agreement (DRA) for $78,000. This allows you to commit to developing multiple Seva studios over a specified timeframe and at discounted Franchise Fee for each studio after the first. Adherence to brand standards, processes and protocols is strongly correlated to the success of our top-performing Seva Partners. A desire to own multiple units and grow with our company. Seva is not currently active in our directory, but here are some other recommended selections for you to explore.